Most smart home products are limited to the indoors, with only a smattering of outdoor accessories available. When you focus in on just HomeKit outdoor accessories, your options are even more limited. Currently, you've got the iDevices Outdoor Switch, the iHome outdoor outlet, and Hue lights -- such as the Lilly spotlights we reviewed. That doesn't leave the average smart home aficionado with many options. Signify saw great success with the early Philips Hue outdoor products, and earlier this year at the Consumer Electronics Show they expanded the lineup dramatically. 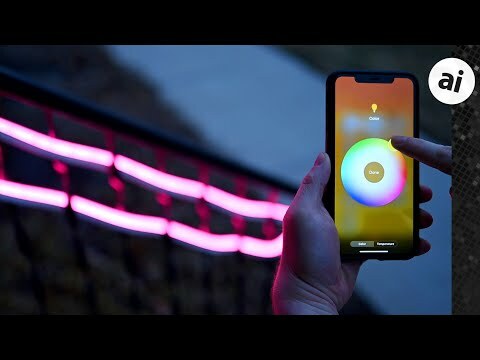 One of the newer lighting options they released is the Philips Hue White & Color Ambiance Outdoor LightStrip. Similar to indoor light strips from Hue and Eve, the outdoor one allows you to shape and mount the light in a variety of ways such as lining paths or gardens. 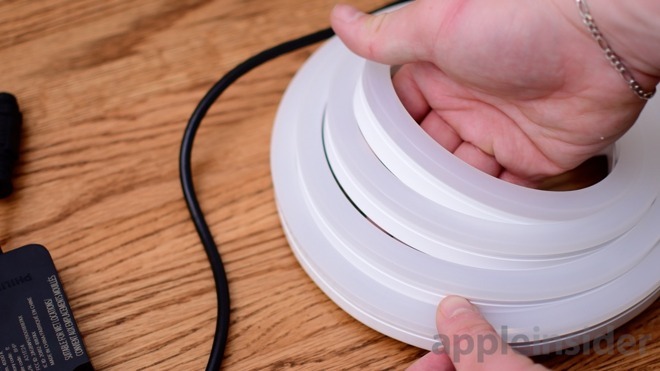 The Hue LightStrip has a few key differentiators from indoor light strips. For example, it has a rectangular shape made of silicone with a semi-opaque top that helps diffuse the 800 lumens of light. Additionally, it cannot be extended or cut so you're limited to the default lengths of two or five meters. There is no adhesive on the back of the light strip like most indoor ones. Instead, a set of mounting hardware is included. These small brackets can be attached under a railing, under a gutter, along a fence, or many other environments. It isn't quite as easy as just peeling the backing off and sticking it to a surface, but that doesn't work well with concrete or brick anyway. 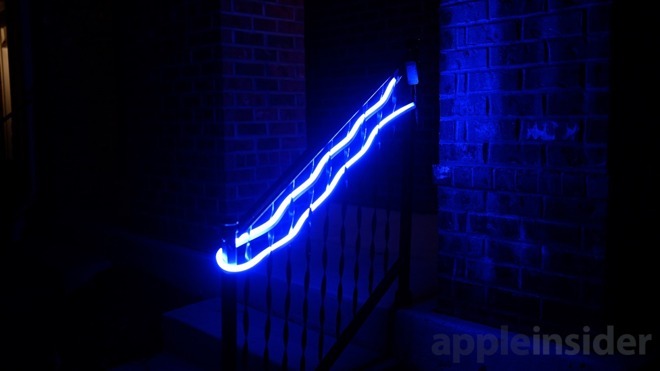 We wish there were better ways -- or other accessories -- for keeping this light strip in place. Some simple stakes would allow this to go into the ground with additional ease, but that is left as an improvisational exercise for the owner. 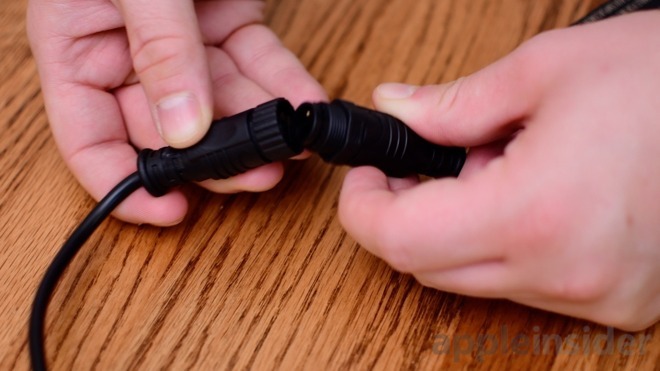 A weatherproof power cable allows the light to turn on, in a similar fashion to the Lilly spotlights. The ends connect together and a collar tightens to keep it watertight. Along the cable is a larger transformer that can be mounted if wanted to keep out of sight. Setup of the light follows the same steps as other Hue lights. Connect it to power and the requisite bridge will discover the light within the Hue app. From there, it can be assigned a room, scheduled, etc. 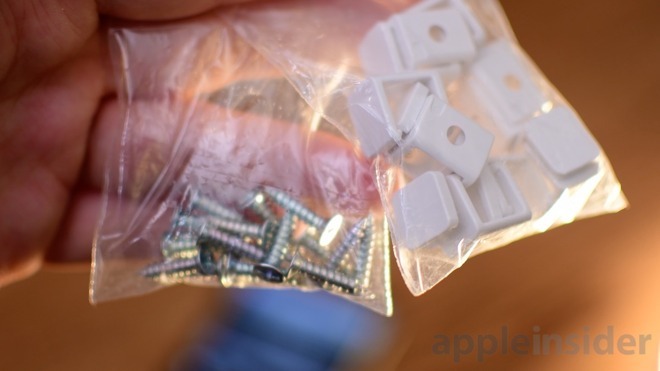 This light will also work with Apple HomeKit. After being added, it will likely show in the "default room" of your home in Apple's Home app before you assign it a room of your choice. 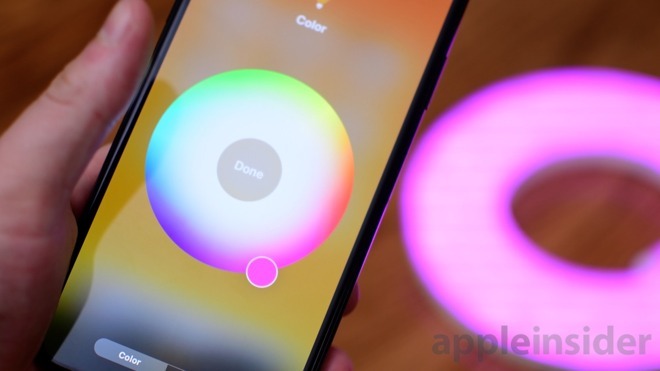 In the Home app, you can turn the light on/off, adjust the brightness, or change the color. The color can be your preferred temperature of white or any one of the 16 million different colors. Compared to early Hue lights that struggled with greens and blues, both of those are bright and vivid on this outdoor light strip. Automation rules are what really make these lights useful though, other than the color and functional lighting they add. For example, we tied ours on our patio to our HomeKit-equipped Logi Circle 2 security camera. Whenever motion is detected on the camera, the Hue LightStrip turns on. This is beneficial whenever we have to take out the dogs or trash late at night or when an intruder or guest comes upon the doorstep. Smart lights have filled our homes, but it is time for them to illuminate outside as well. It gives your home a sense of yourself and can change based on the season, mood, or even the music. They offer fun accents when relaxing, a colorful pop for the holidays, security to scare off an intruder with motion detection, or convenience when a friend is entering or leaving in the dark. Mounting may take a bit of time, but will easily be worth it. The Philips Hue White & Color Ambiance Outdoor LightStrip is available on Amazon in 2-meter and 5-meter lengths for $83 and $159 respectively. A 5-meter length with an included hub is available for just under $220. My Hue products simply Work. Out of the box, set up, creating scenes, interacting with other hardware and apps, it just Works. Great customer support. Did I say It Just Works? I recently bought the outdoor sensor. As a simple sensor I have no complaints, it does what I'd expect. They have some interesting things like trigger and outdoor light then a minute later an indoor light. I need to mess around with the for when I'm away in the evening - as I imagine an indoor light turning on suddenly when I'm home would give us an unnecessary fright. Signify needs to open the sensors up as a This for IFTTT though and make it easier to access the temperature sensor, which isn't even visible in their own app. If it just works why would you need customer support? The system and app is intuitive but when I add new accessories I’am old fashioned and like talking to a human to be sure it is going to do what I want.